Leaking outside water faucets and a water meter that seems to run when no water is turned on are just a few plumbing problems you might experience outside of your house. Gus Heinze, master plumber and owner of Eagle Plumbing, has years of experience working with water and sewer lines and can take care of your problems. 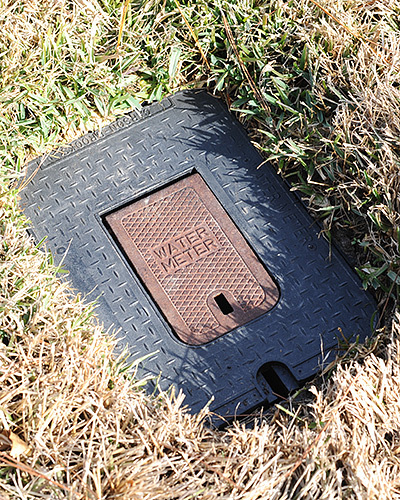 If your water bill seems high, you may have a leaking water meter. Eagle Plumbing can determine if this is the problem. Texas weather can be tricky, and it can turn cold very quickly. When the weather dips to freezing temperatures, it is best to have those outside pipes and faucets insulated to prevent damage. Avoid water meter leaks when mowing with a riding lawn mower. Instead of driving a mower over the meter box, use the weed eater around the meter area. Call Eagle Plumbing to schedule an appointment to insulate outdoor plumbing. I called Gus on a referral from a friend as I needed a plumber to service a water leak I had in my front yard. Gus, from Eagle Plumbing, was courteous and professional on the phone. The repair was scheduled and completed in a timely manner and the pricing was very fair. I have added "Gus the Plumber" to my speed dial and he will be my plumber in the future. I would recommend Eagle Plumbing to my family and friends.